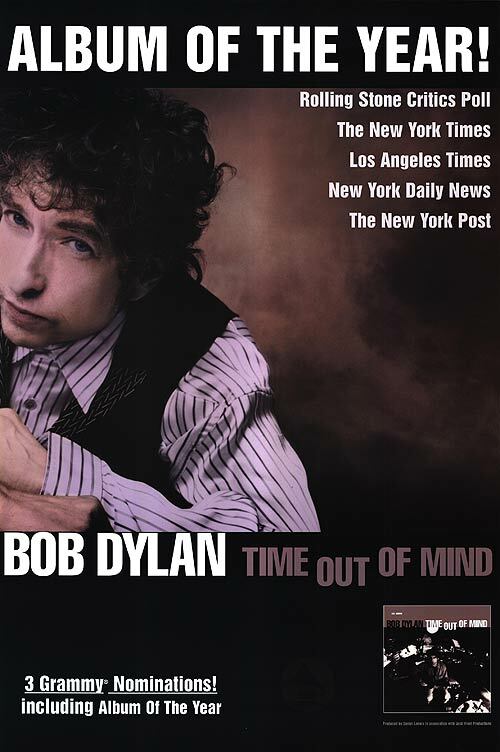 Can’t Wait is located @ #150 on my top 200 Dylan songs list. The “Oxnard version” (released in 2008 on TTS) however would surely have ended up inside of top 100, maybe even top 75. This version has a more naked sound, better vocals & I like the lyrics better. But the TOOM version is also very good, certainly not a pig’s ear…. Here ‘the air burns’. Dylan sounds like Howlin’ Wolf, his head ‘caught in a trap’, though as Paul Williams points out, he also sounds like a ‘sly dog’. The music is more sprightly, and Dylan ha a hint of threat in his voice, buoyed up by the slowed-down blues beat, swamp rock with teeth. What Nick Johnstone described as ‘big echoey chambers, swampy, haunting looping drums, the lonesome guitars and Dylan’s voice old, gnarled & corroded’. 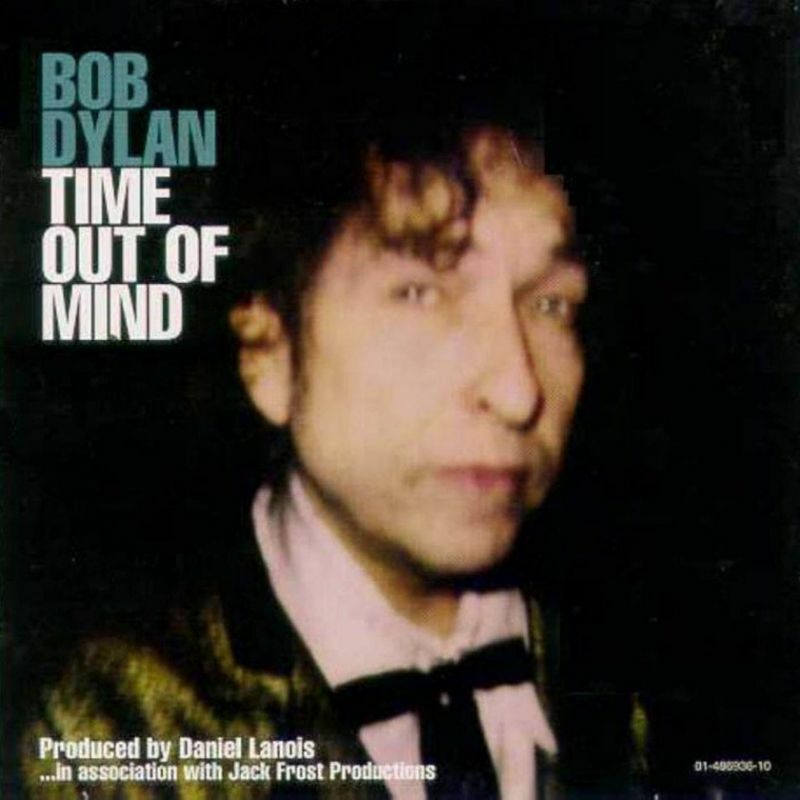 [Time Out of Mind] is the first album I’ve done in a while where I’ve protected the songs for a long time. 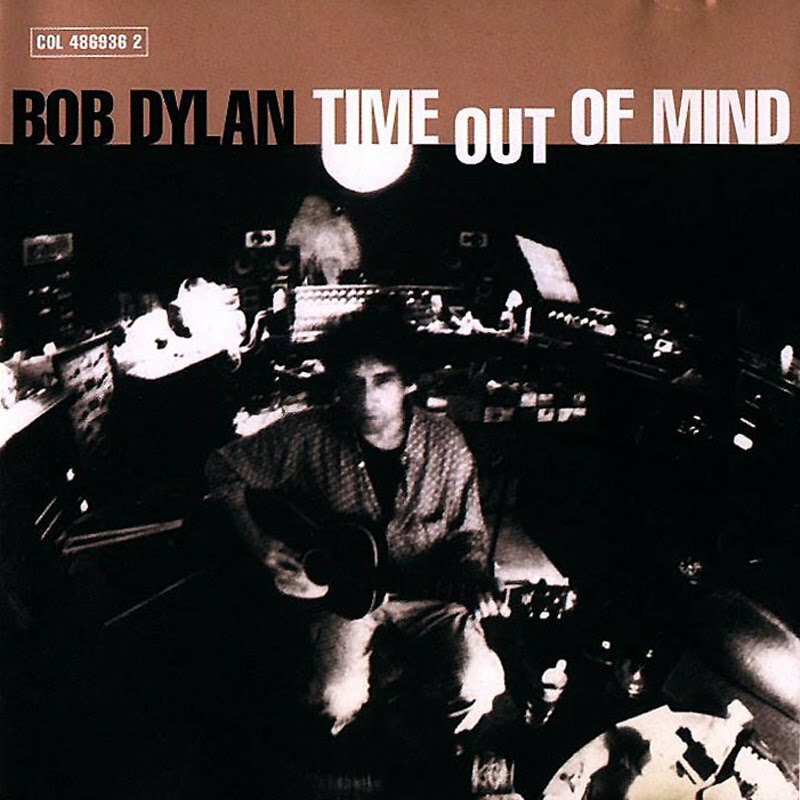 Time Out of Mind is the thirtieth studio album by the American singer-songwriter Bob Dylan, released on September 30, 1997 by Columbia Records. It was his first double studio album (on vinyl) since Self Portrait in 1970. It was also released as a single CD. * I’ve never heard this version.. If anyone reading this can point me in the right direction that would have been much appreciated. Mississippi State University, Starkville MS, October 24, 1997.
only captured on CD after it had (long) exceeded its ‘best by’ date. 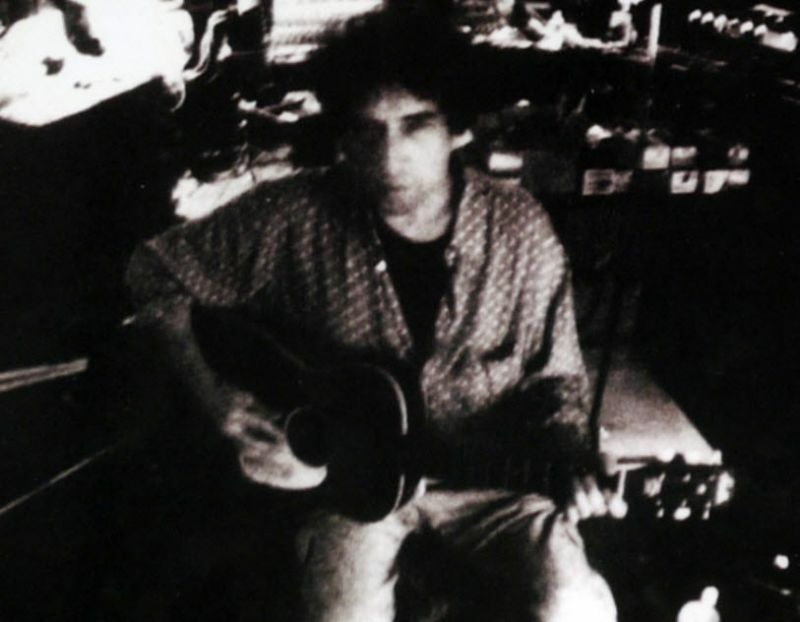 On this expansive overview of the ‘detritus’ from Dylan’s 1989- 2006 output, fans were given two alternate visions of the song, both radically different from – and markedly superior to – the one on the 1997 album. The first came from the fall 1996 Oxnard sessions; the second from Criteria, at a time when the song was already threatening to defeat the man (the latter is dubbed ‘psychedelic mix’ in the TTS notes). —>Available on “The Bootleg Series Vol. 8: Tell Tale Signs: Rare and Unreleased 1989–2006” three-CD version. Jeff Rosen called me a couple of months ago and said he was thinking or releasing the demo version of “I Can’t Wait”. That was my demo, which was done at my theatre. I was renting a theatre at the time in a place called Oxnard [California]. I had my shop set up there for a while. So Bob Dylan would roll down to the teatro, cos it was a Spanish town. That’s where we did the demos for Time Out Of Mind, and out of that demo session came some lovely things, including that version of “I Can’t Wait”, which I feel has a lot of thunder in it. It’s very stripped down ’cause it’s piano – Bob on my lovely turn of the century Steinway, which has a roaring bass in it; me on my goldtop 1956 Les Paul, through a Vox, and Pretty Tony on the drums, who was a friend of mine who stopped by the help with the demos. I was sad to abandon that version, ’cause I think it has lot of rock’n’roll in it. Was actually used in “Sugar Baby” (from Love & Theft (2001)). Can’t Wait has been performed 188 times live by Dylan. The heavy years were 1997 (32), 1998 (64) & 1999 (29). He performed it six times in 2012, last performance – @ Port Chester, New York – 4 September 2012. The Grooveshark links works fine on my computers. Are you using a computer or smart phone/pad ? For my money (what money?) the “psychedelic mix” is a beautiful version. I’ve never heard it until now. Also, I think the album version gets the lyrics tight beyond touch-ups.